The Bridge – offers a comprehensive range of evidence-based rehabilitative services, including mental health and substance abuse treatment, housing, vocational training and job placement, healthcare, education and creative arts therapies. Children’s Aid Society – East Harlem branch offering children, youth, and families comprehensive community-based services and support. Food Bank for New York City – Senior Center within the organization that provides meals, sessions on living a healthy lifestyle, workshops with a community nutritionist, and more. Harlem House – mental health center at Harlem Hospital. LGBT Youth of Harlem United – a nonprofit providing access to quality HIV/AIDS care for all, regardless of race, socioeconomic status or sexual orientation. Law Enforcement Explorers Program – an NYPD program connecting youth and law enforcement in positive community service. New York Harm Reduction Educators (NYHRE) – a nonprofit organization promoting the health and safety of persons who use drugs and engage in prostitution. 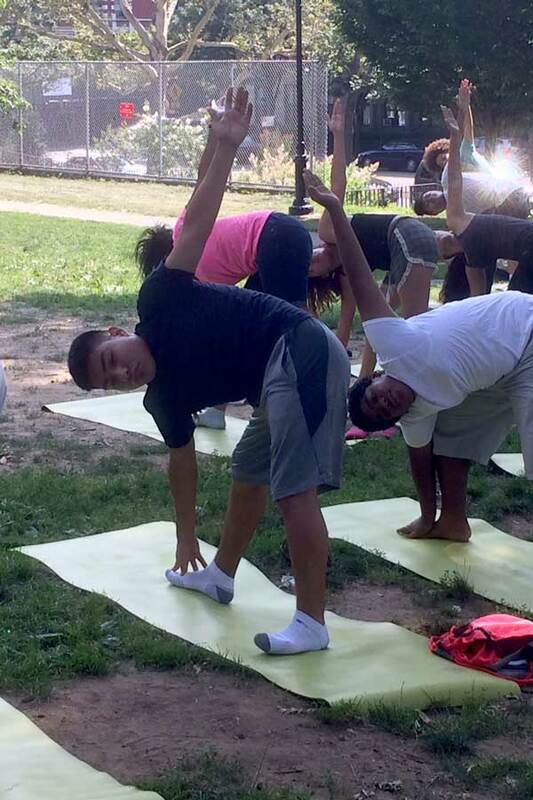 NYPD – THAY offers ‘Yoga for Cops’ in the central Harlem community. Sound Business, Inc. (SBI) – a program designed to foster systemic socio-economic change through grass roots education initiatives, serving Harlem’s A. Philip Randolph Campus High School. Services for the Underserved (S:US) – a Harlem nonprofit driving scalable solutions to transform the lives of people with disabilities, people in poverty, people facing homelessness, and veterans. 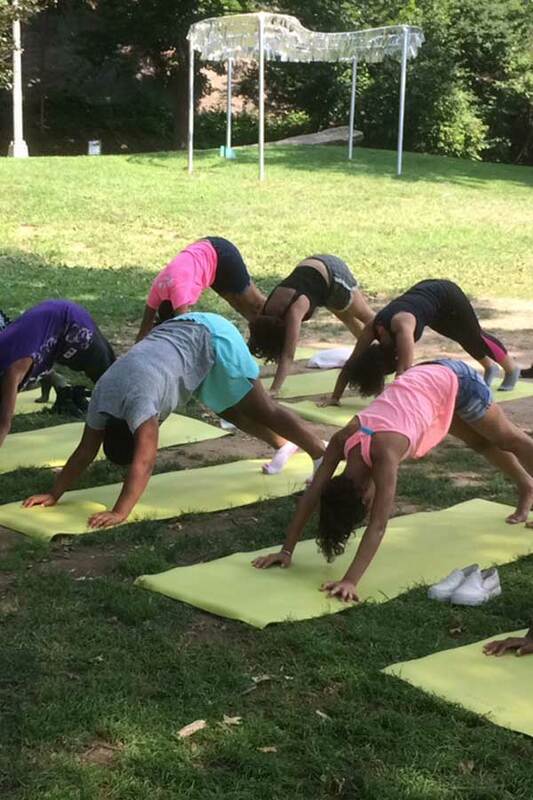 Developing slowly, so that students learn to take ownership of their own practice, weekly yoga sessions focus on the mind/body connection—working to deepen and slow the breath over time. 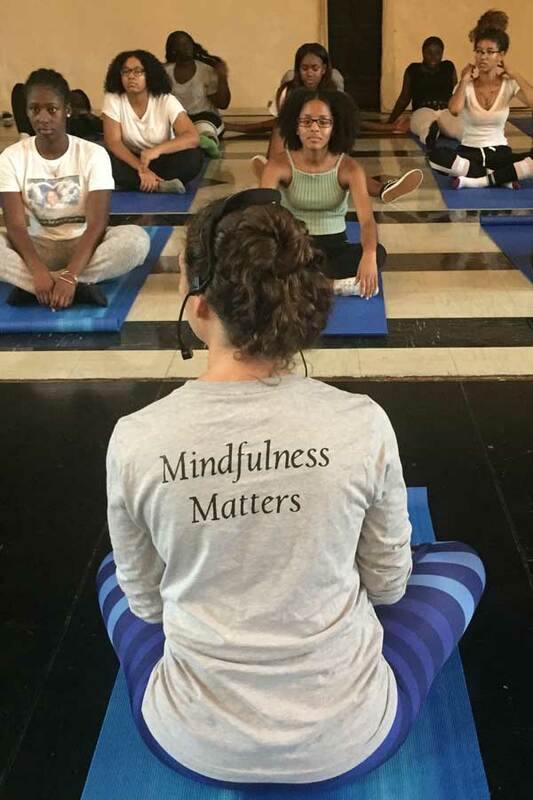 Our sessions directly address sensations of stress, fear and anger—teaching the body and mind to slow down and observe instead of react. This is a physical shift that can become instinctual through practice—resulting in the slowing down in times of ‘fight or flight’ and allowing time for reason, empathy, and tolerance to guide decision making. We rely heavily on the support of our friends, neighbors, colleagues and peers to help us develop meaningful and impactful programs that serve the Harlem community. Join us at our events throughout the year. 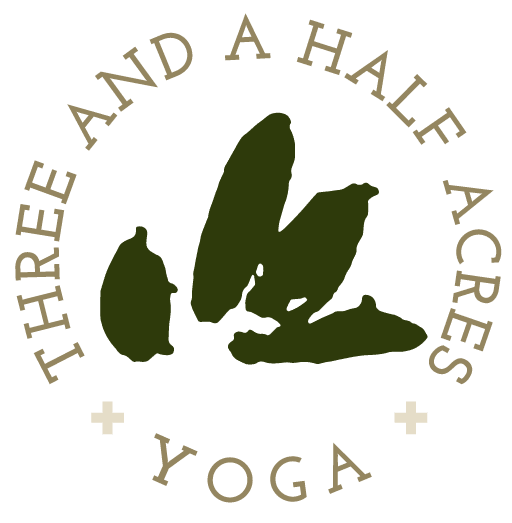 Check our EVENTS PAGE for upcoming ways to learn about and support THAY.